Since the Disney movie was released last year, you’ve seen Frozen everywhere you turn—and you’re more than ready to “let it go.” Before you do, let’s consider the source. You probably know that Frozen was based on Hans Christian Andersen’s fairy tale “The Snow Queen.” And, it should come as no surprise that Disney took its share of liberties with the original tale. If you’ve grown tired of Frozen, or you never liked it to begin with, it’s time to take on the real deal. Although it’s nice to add Andersen to your home library, his 19th-century stories are available online. 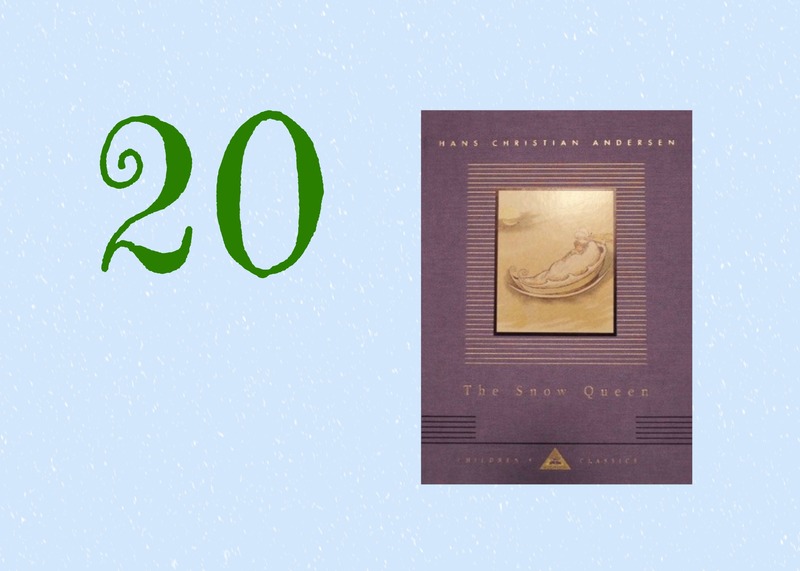 Click here to find a version of “The Snow Queen” at your fingertips. Just as Wicked did for The Wizard of Oz’s Wicked Witch, Frozen makes the evil snow queen a multidimensional character with an opportunity for transformation and redemption (and, as in Wicked, it gives her the big voice of Idina Menzel). In Andersen’s original story, the evil queen is just that—evil. She bears no relation to the story’s heroine, little Gerda. Instead, Gerda’s companion is a neighbor named Kai (or Kay, depending on the translation), whom she loves like a brother. When he goes missing, after being taken by the Snow Queen, Gerda sets off to find him. It seems too epic a quest for such a little girl, and she receives help from an assortment of wild animals and even wilder characters along the way. Yet the success of Gerda’s journey lies with her and her alone—and she proves totally up to the task. Unlike some other Andersen tales like “The Little Match Girl,” “The Snow Queen” ends happily: the heroine succeeds, and good triumphs over evil. The moral seems to be about believing in your own power, no matter your age, gender, or personal challenges. But we must also heed the lesson in the kind of spell that the Snow Queen casts. Before she kidnaps Kai and hides him away in her castle, she does something just as sinister to separate him from his family and his home. She pierces his eye and heart with a shard of a cursed mirror, which permanently alters his outlook. Everything he once thought beautiful becomes hideous and displeasing. Kai’s view is transformed by a spell, which is beyond his control, but we are meant to do all we can to avoid specks that cloud our view. It’s a reminder that perspective can be a powerful thing. I’m over the age of 40. There, I said it. I’m okay with being middle-aged; I really am. At this stage of my life, there are all kinds of things I get to do that I didn’t at the ripe old age of 20 or 30. For instance, now I get to wear two kinds of glasses at the same time—one for reading a restaurant menu, and the other for seeing people across the table. My social circle is ever widening to include all kinds of doctor and medical practitioner friends; sometimes I see several of them in a single week. These days, I can watch the Billboard Music Awards and rest comfortably in the fact that, with the exception of the Michael Jackson hologram, I’m older than every performer that takes the stage. And, now that I’m 40-something, I also get to enjoy young adult books. Sure, I could have read and enjoyed YA books before I hit this age milestone. But I didn’t. Except for a YA classic here and there, from the time I was 18 until very recently I didn’t once open the covers of a book that claimed to be for teens, preteens, or young adults. I’m sure there were valid reasons for this, though I never thought them through. Mainly, I was too busy acting like a grown-up. And acting like a grown-up meant reading grown-up books. Once I hit 40, though, I could finally let my guard down. There’s no doubt—despite occasional wishes to the contrary—that I am officially a grown-up. And, armed with that sense of security, I can savor a few of the younger things in life. Nowadays, I read YA books regularly. I prefer variety in my reading, so I enjoy alternating a more mature, introspective novel like Julian Barnes’s The Sense of an Ending with a page-turning thriller from the Twilight series. YA fiction also keeps me in tune with pop culture. Just look at the movie theater marquees these days; they’re covered up with YA novels turned films, from The Fault in Our Stars to Divergent. But, mostly, I like the way books for young people make me feel young, too. When I’m reading about a teen character’s social anxiety or emotional angst or romantic trials, I feel as if I were right back there myself, walking the halls of high school. Doesn’t it seem like just yesterday to you, too? On a deeper level, YA fiction is dealing with perhaps the toughest stage of personhood. It’s a time when we undergo the most major transition, trying to navigate our way from the comforts of childhood to the challenges of being an adult. And that makes for intriguing reading. 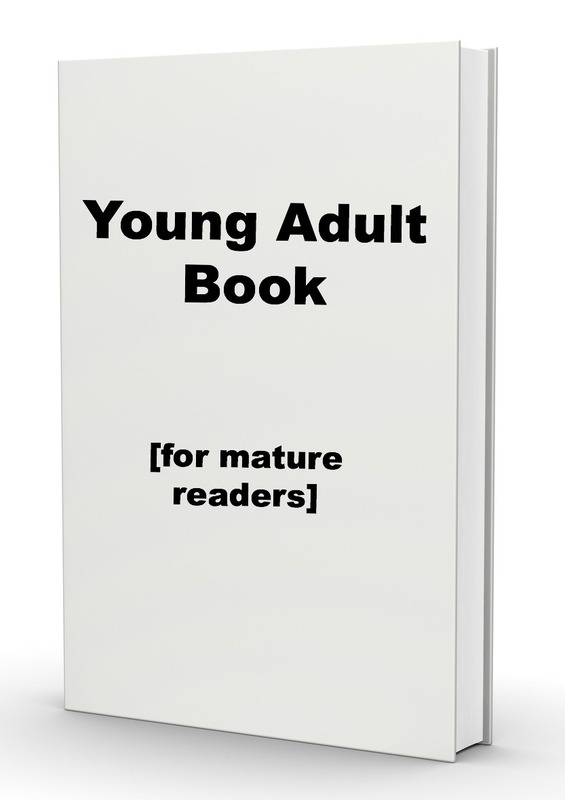 Knowing myself, I couldn’t have truly enjoyed young adult literature as an adult until now. I needed to be a little more mature to be able to admit I’m not so mature after all. For those of you who are already YA fans, and for those willing to give it another try, take a look at some of my recent favorites from this ever-popular genre. Also feel free to visit my 2013 post sharing a Flowchart for YA Lit Readers. I came across this title on an Internet list of new authors that deserve a try, and I’m glad I did. It put me in mind of that 1988 movie Heathers (I told you I was over 40! ), because it so ingeniously combines comedy with murder and mayhem. It’s not a completely believable tale, because it’s not supposed to be. It made me laugh out loud several times, and I couldn’t help but imagine certain scenes on the big screen. This was my book club’s selection last month, and it was a smooth, thought-provoking read about a teenage girl who finds a kindred spirit in a woman decades her elder. I don’t think Kline’s novel is officially classified as YA fiction, but I’d put it there because I think teenagers would identify and sympathize with the orphan heroine and her search for herself. This will be a blast from the past for many of you, as it was for me. When I saw it on my son’s required list for seventh grade, I decided it was time for a reread. And it turned out to be so much better from an adult perspective. The spiritual battle between good and evil is one we fight almost every day, though not in the same literal, physical way. 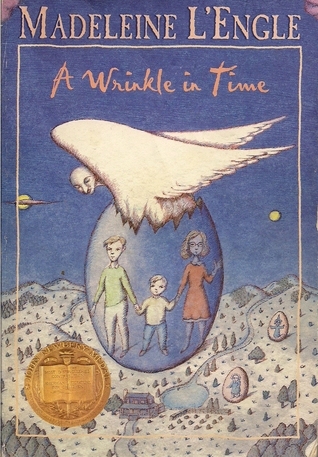 I found myself seeing things through the eyes of the book’s parents, as well as its main character, Meg. Again, this may or may not be on the YA shelf at the bookstore, but it certainly straddles the fence between fiction for teens and adults. The 14-year-old girl at its center is learning about grief for the first time, after losing an uncle that she not only loved but shared her true self with. His death sends her on a quest to understand more about his mysterious illness and the male friend he left behind. This is a moving, emotional coming-of-age story—and one that grown-ups will find realistic and touching. You might have seen the movie by now, if you haven’t already read the book. 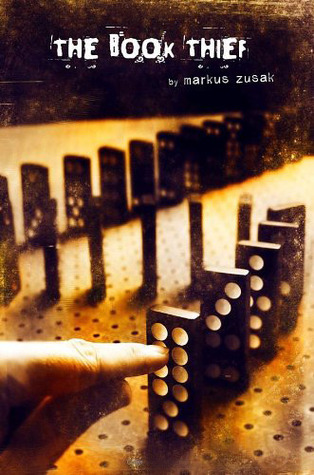 The Book Thief, a novel that’s been around since 2007, is the sort of character-driven drama that great films are based on. A Holocaust story tailor-made for bookish types, this novel focuses on a foster girl living in Nazi Germany—with a Jewish man hidden in the basement. As she befriends him, she also learns that books and writing can be powerful means of survival. I’ve only delved into the first few chapters of this novel, my book club’s latest selection. Whether or not it turns out to be a great novel, the premise is pretty gripping. A collector of vintage photographs, author Ransom Riggs has used some of his most peculiar photo finds to create a strange story about a group of strange children. This novel occupied the number-one spot on the New York Times best-seller list for more than a year. 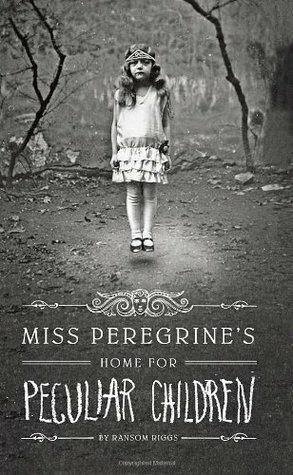 And it already has a sequel, Hollow City, for those that didn’t want the first one to end. It’s time to reflect on a year of reading and think about the best books from my 2013 reading. 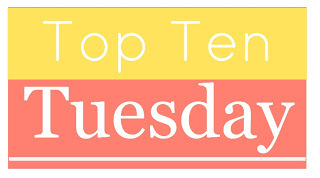 Thanks to The Broke and the Bookish for hosting today’s Top Ten Tuesday topic and making all of us reminisce about the brightest reading moments of the past year. Here’s a toast to many more worthy books to look forward to in 2014! After you take a look at my list, make sure and leave a comment on your favorites from 2013. 1. Choosing the book to take the top spot on my best-of-2013 was easy. 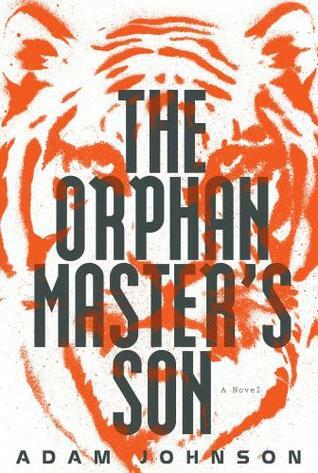 It goes to a novel that stands head and shoulders above most of the others listed below: Adam Johnson’s The Orphan Master’s Son. I loved this look inside the mysterious country that is North Korea and its bizarre, frightening political regime. This story within a story made me think back to that riveting movie The Usual Suspects, where tales unravel and the truth is always a little uncertain. If you haven’t read this prize-winning, critically acclaimed novel, put it at the top of your TBR pile pronto. 2. I enjoyed sampling this required-reading novel about bullying, social pressure, and acceptance before my middle-schooler did. 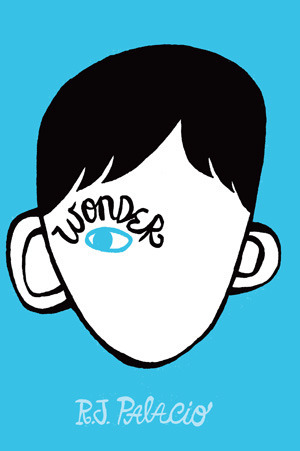 I liked Wonder much more than I ever expected to, admiring Palacio’s ability to capture preteens at precisely where they are—the way they think, speak, and interact with one another. At times, I felt that I was eavesdropping on conversations between my own son and his friends. And, based on the way everything turns out, I’d be pleased to see and hear my own kids enact these characters’ transformation in their own lives. 3. It’s been a long while since I read this one, back in February or so. And by now, it’s made the rounds among book clubs, critics, blogs, and book store best-seller shelves. 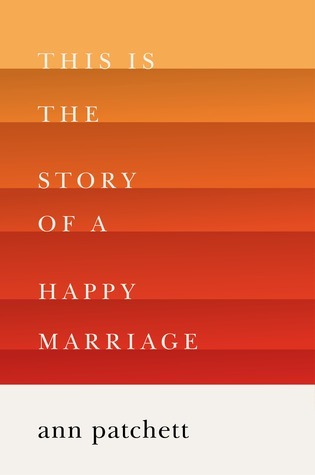 It’s the kind of novel that appeals to almost everyone, whether you prefer a dimestore romance or a more literary read. 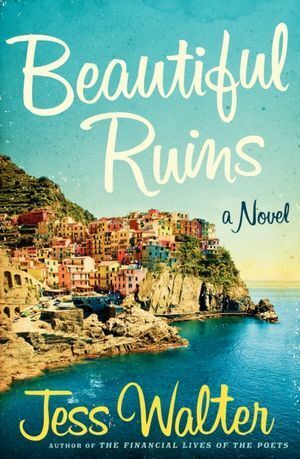 Moving back and forth between Hollywood and a beautiful Italian coastal destination, you’ll enjoy following both the made-up characters and a few real-life stars like Elizabeth Taylor and Richard Burton. 4. I’d be willing to wager that this book isn’t on any other blogger’s Best of 2013 list. 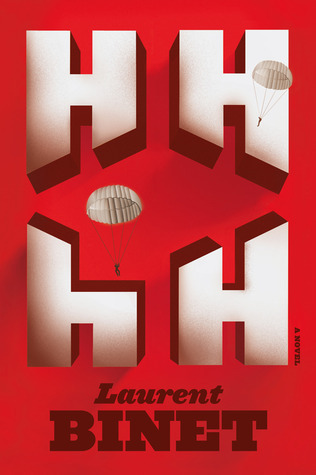 HHhH was first published in France in 2009, and the English translation came out the following year. It garnered much praise from the critics then, but I picked it up this past summer before taking a trip to Prague in the Czech Republic. Binet’s novel is set in World War II Prague, and it focuses on a little-known (to me, at least) Third Reich leader: Reinhard Heydrich, known as the butcher of Prague. While it’s probably edifying to read a Holocaust narrative every once in a while, I don’t typically expect to enjoy it. But this journalistic-style novel tells a different story in a different way. I would highly recommend this book to anyone who likes metafiction and the way it looks behind the authorial curtain. It’s also for history buffs and readers who might be curious about Prague’s position in WWII. I wasn’t curious when I first opened the book, but it didn’t take long to get hooked. 5. And, yes—it’s another Holocaust novel, coming in at #5. I adored Kate Atkinson’s 2004 book, Case Histories (one you should read if you somehow missed it), and I picked this one up based on that earlier work. 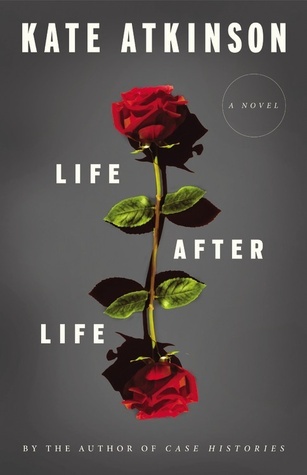 While Life after Life didn’t make a huge impact on me at the time of reading, I find myself continuing to think about its premise: What does life look like when a past event—a birth, a relationship, a death—takes an entirely different trajectory? How might we be different? What happens when we get a second chance to take an alternate path? While Atkinson’s take on World War II didn’t make much of an impression on me, her story of heroine Ursula Todd’s life—and life, and life again—has haunted me for months. 6. This National Book Award–nominated novel is so beautifully written that readers may not even appreciate just how good it is. That’s the sort of sleight of hand that master storyteller Alice McDermott manages in all of her novels, from Charming Billy to Someone. 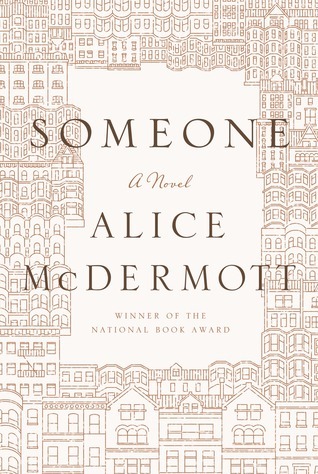 Someone is a quiet, reflective book for mature readers who appreciate a nicely told story about a life well lived. You can read my complete review here. 7. Will we still be talking about this book in 100 years? Probably not—but, boy, we talked about it this year, and with good reason. It was a rip-roaring fun read, with characters that made us laugh, cry, and cringe (especially when we recognized ourselves in them). I applaud Maria Semple for finding a way to translate her gift for sitcom writing into fiction. 8. This book is sitting at my bedside, to be picked up whenever I’m in between novels and want to dip into a thoughtful essay. When it comes to Ann Patchett, I’m a real fangirl. I love every one of her novels, I enjoy visiting her indie book store in Nashville, and I have fond memories of hearing her speak at a local library event a few years ago. So I couldn’t wait to buy this recently published essay collection. Even for a die-hard admirer like me, the book doesn’t disappoint. Most anyone is likely to find a story in here that they relate to, whether it’s about marriage, traveling, books, or life in general. 9. I just finished this lovely novel about a teenage girl dealing with the loss of an uncle, who dies of AIDS. It hit shelves over a year ago, but I have some fellow bloggers to thank for recently encouraging me to pick it up. I sped through it during my post-holiday downtime; it was smooth easy reading but with real depth and dimension. 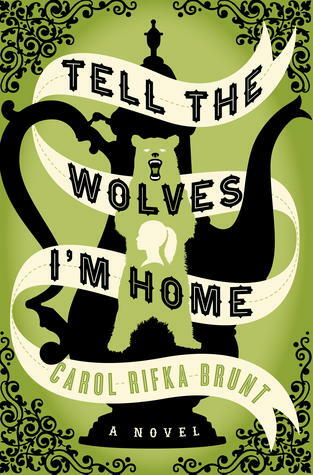 I look forward to more compelling books from debut author Carol Rifka Brunt. 10. I admit to not having read last year’s Nobel Prize winner in literature (Mo Yan, 2012) or the year before that (Tomas Tranströmer, 2011). So I am pleased to read and recommend this year’s winner, Alice Munro. 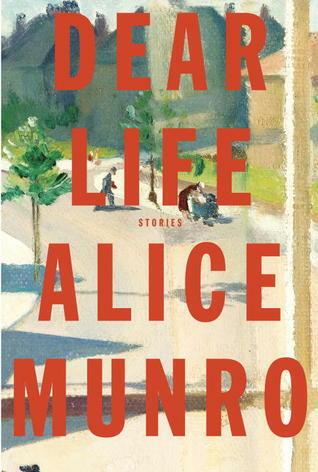 Dear Life is the latest in a long line of story collections for Munro, and, like the others, it proves the art of short-story writing. For more on Alice Munro and the genre of short stories, see my October 11 blog post here. Girls in literature are a complicated bunch. Some of our oldest stories—from Eve in the Bible to Cinderella and Sleeping Beauty in fairy tales—cast girls in a bad light, as weak, submissive, romantic, or fatally flawed. But if we look hard enough, literature has plenty of positive examples to counteract those age-old stereotypes. 60% of teen girls say they compare their bodies to those of fashion models. 40% of girls ages 11-17 say they do not play sports because they do not feel skilled or competent. 31% of girls ages 13-17 admit to starving themselves or refusing to eat as a strategy to lose weight. Then, read below to find 10 literary heroines with powerful personalities and the ability to accomplish amazing feats. In these books and series for readers ranging from preschool to teens, female characters prove time and again that they can achieve whatever they set their minds to. They don’t necessarily need anyone’s help, they don’t second-guess themselves (or, not for long, anyway), and they don’t let obstacles—whether demons, dragons, or men—stand in their way. They simply can. 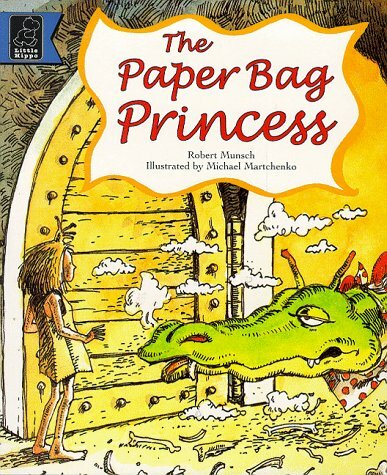 Princess Elizabeth in Robert Munsch’s The Paper Bag Princess—This very popular picture book turns ye olde convention of the prince rescuing the princess on its head. Here, it’s the prince who gets captured by the dragon, and Princess Elizabeth takes the situation into her own hands, putting on the first thing she can find—a paper bag—and setting off to save her soon-to-be husband. She does just that, but when Ronald finds fault with her non-royal outfit, she tells him to go take a hike. 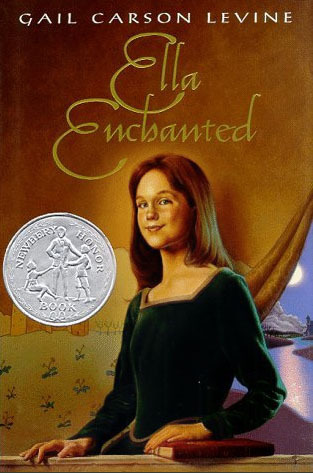 Ella of Frell in Gail Carson Levine’s Ella Enchanted—This award-winning novel for preteens does a good job of helping young readers recognize all the conventions and stereotypes from the fairy tales they grew up with, and then dismantling them little by little. Ella refuses to accept her curse to be “obedient,” and goes off in search of freedom and true selfhood. It’s sort of a grown-up version of Munsch’s The Paper Bag Princess. 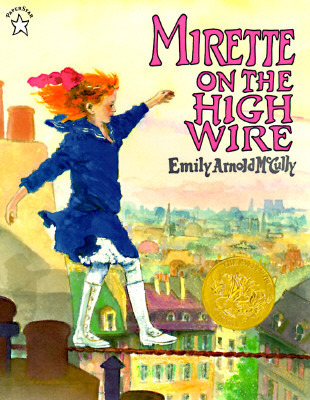 Mirette in Emily Arnold McCulley’s Mirette on the High Wire—The roles of teacher and student get reversed in the course of this children’s story and 1993 Caldecott Medal winner. When Mirette meets a former high-wire walker at the boarding-house that her mother runs, she begs him to teach her his art. But the once Great Bellini is now overcome with fear, and Mirette has to help him gain his courage again before they can both walk the wire together. Katniss Everdeen in The Hunger Games, by Suzanne Collins—Yes, this photo is from the movie and not the book, but the film version of Katniss really captures the spirit of Collins’s character, so it works. At the beginning of the story, Katniss grabs our sympathy when she falls victim to her society’s cruel reality-TV competition. But as the games progress, Katniss reveals more and more of her physical power and her inner strength. Sure, she spends a little too much mental energy on her two love interests, but she’s a model of girl power and grit in this fan favorite for teens. 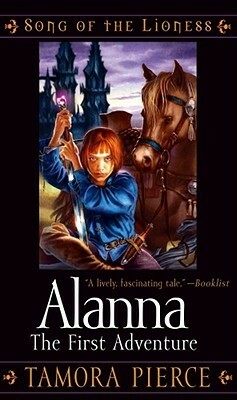 Alanna of Trebond in the Song of the Lioness series, by Tamora Pierce—This four-part series for teen readers tracks the progress of a girl trying to achieve knighthood. In the first installments, she is forced to disguise herself as a boy, but we like it when she is eventually able to reveal her gender and come into her own as a woman warrior. 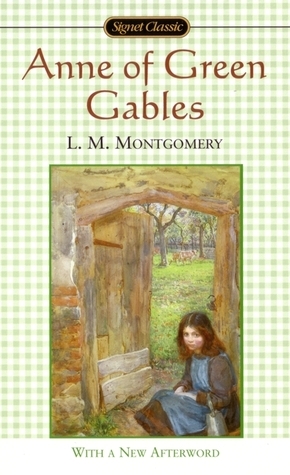 Anne Shirley of the Anne of Green Gables series by Lucy Maud Montgomery—This century-old classic is one that parents are still passing on to their preteen and teenage children, and Anne continues to find a friendly reception with today’s readers. She may not go on otherworldly missions or attempt to save the planet, but she charms us with her imaginative spirit and her ability to adapt to difficult situations. 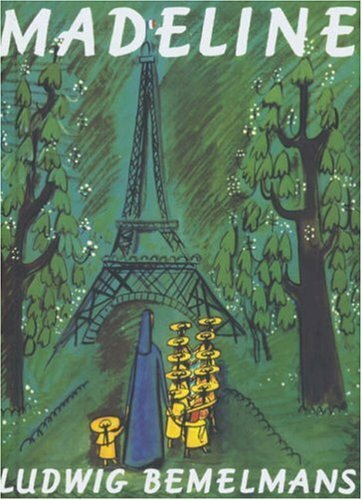 Madeline, in the series by Ludwig Bemelmans—The Parisian schoolgirl has been popular with readers worldwide ever since she made her debut in her first picture book in 1939. One of “twelve little girls in two straight lines,” Madeline aways manages to find ways to flout the conformity of her Catholic boarding school life. She’s smart, spunky, and occasionally disobedient, but her adventurous spirit makes us admire and adore her. Eloise, in the series by Kay Thompson—Like Madeline, 6-year-old Eloise is a girl of the ’40s, but she has timeless appeal for elementary-age readers. 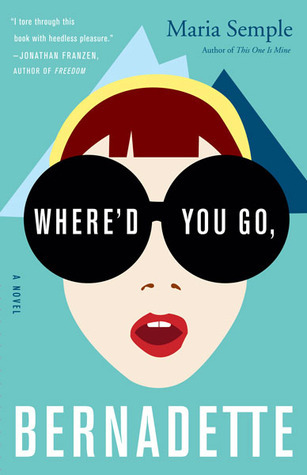 She lives at the Plaza Hotel, where she finds no end to wonderful experiences, and her adventures in subsequent books take her to other destinations around the globe. In describing her heroine, author Kay Thompson wrote, “She is not yet pretty but she is already a Person.” In other words, she’s too young and spirited to be caught up in any feminine ideals of what a girl should look like, act like, or be. Though she lives a life of privilege and veers toward the overly precocious sometimes, young girls will admire her unpredictability and her resourcefulness. Anastasia Krupnik, in Lois Lowry’s Anastasia series—When you see the name Lois Lowry, you can rest assured it’s going to be good. 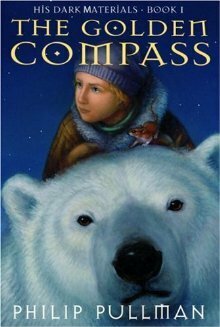 The series about Anastasia focuses on the challenging middle-grade years of a thoughtful 10-year-old (her age when the series starts). Though she doesn’t always fit in, she finds ways to survive and thrive. Female readers of a similar age will appreciate this realistic, positive depiction of a girl going through some of the same issues they’re facing. Lyra Belacqua in Philip Pullman’s His Dark Materials series—This trilogy of fantasy novels casts orphan Lyra Belacqua in the ever-challenging role of moving between worlds, confronting demons, and saving loved ones. Her quest will appeal to tween readers, while captivating adult fans of fantasy as well. This list doesn’t even scratch the surface, and I know I’ve left out some of your all-time favorite female characters. I didn’t mention Jo March, Nancy Drew, Pippi Longstocking, Mrs. Frizzle, Matilda, and so many more. Who are a few of your favorite spirited girls in books? While you’re thinking, check out this #YouCan video in honor of International Girls Day. I’m putting a slightly different spin on The Broke and the Bookish‘s Top Ten Tuesday topic for today—books you were forced to read. This topic brings to most minds a list of literary classics that were required reading from English classes of days gone by, but, as you might have guessed about me by now, I tended to enjoy those books. So—with the exception of maybe Hemingway—I don’t really remember feeling forced to finish those literary works that still make some readers shudder. These days, my compulsory reading usually happens around the kids’ bedtime, when I ask which story they want to read and wait with fear and dread. Which of those children’s favorites will I be forced to read tonight? Will it be an easy, straightforward read, or one that requires singing, dancing, and other antics? Will it end happily, which for a parent means that it helps children drift off to sleep, or will it wind them up to a fevered pitch of excitement just as I try to turn out the lights? Now, let me make myself clear before you peruse the list below. These are not books I dislike. They are all quite good, and most I really like and like my kids to like. If you’re a parent, or were ever a kid, you probably have many of them on your own bookshelves. Or you may want to add them. But be forewarned: they’re demanding for the adult who has to read them—especially if, by evening, you’re feeling like a tired, curmudgeonly mother who wants to say “night-night” and head to the sofa for an episode of Breaking Bad. 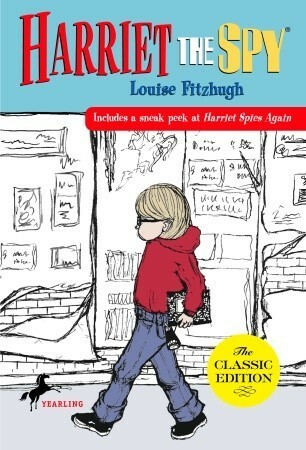 Read on and let me know if you’ve been forced to read any of these excellent kids’ classics! 1. Skippyjon Jones — I’ve been familiar with the series about the Spanish-speaking chihuahua for a while now, so I was thrilled to learn that this particular story included a read-along CD. But no matter—my kids prefer to hear me stumble and trip over a foreign language I don’t know and the various verses meant to be sung to the Mexican hat dance tune. So sing them, I must. 2. 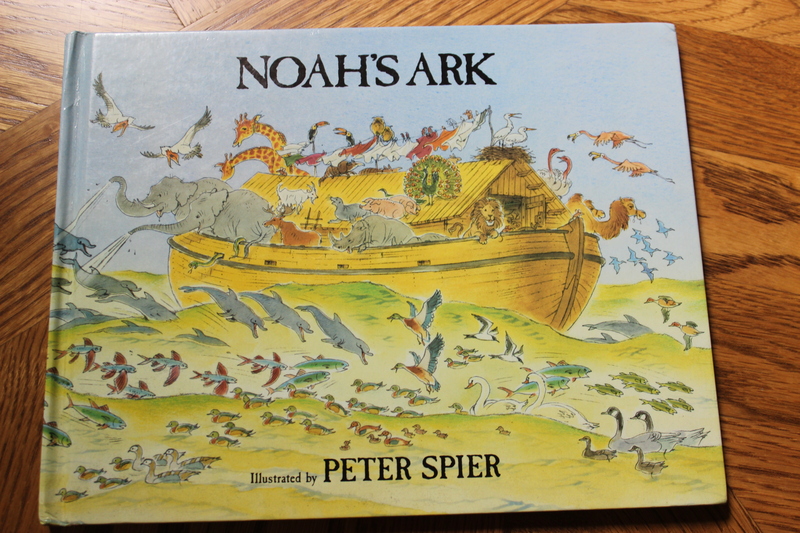 Noah’s Ark — I feel as if I have to do all the work on Peter Spier’s beautifully illustrated picture books, which focus on subjects like the circus, bible stories, and more. Sure, my kids try to help tell the story, but they only make the pages turn more slowly, as they pore endlessly over the incredibly detailed pictures. 3. We’re Going on a Bear Hunt — My little ones love everything about this story: the predictability of it, the sing-song repetition, the onomatopoeic sounds made by the various areas of the hunt (grass going “swishy-swashy,” mud making the sound “squelch squerch”). Just look at our dog-eared copy to see how much they love it. But adults will find themselves tired and hoarse by the end of this physically demanding journey. 4. The Little Old Lady Who Wasn’t Afraid of Anything — Ditto the above. This is another journey of a book. The kids love to recite the litany of things this elderly woman doesn’t fear: from shoes to pants to shirt to gloves to hat to the crowning feature of this not-so-scary scarecrow: the pumpkin head. Whew. It’s a marathon read that always requires motions, too. 5. 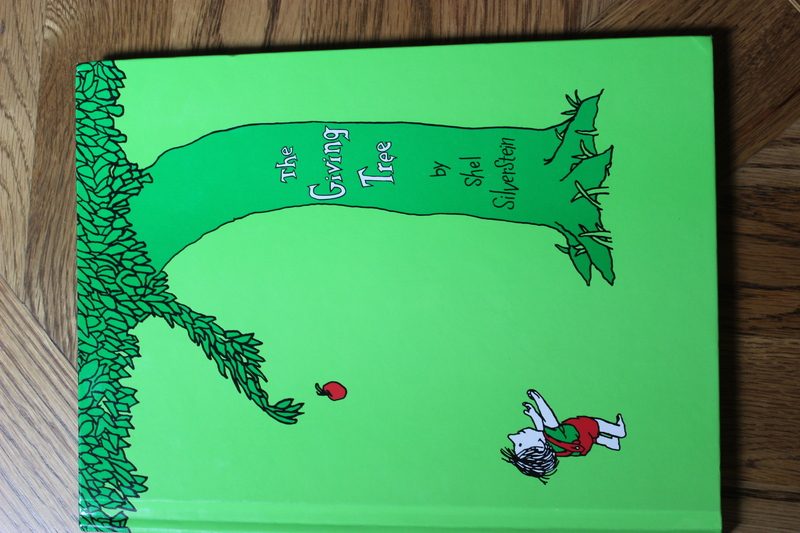 The Giving Tree — This Shel Silverstein classic probably has a better moral than just about any other book in our home library, whether for adults or kids. But I’m a blubbering fool by the end of it, when the greedy boy comes back as a much older man, and sits down to rest on the mere stump of the tree that’s always loved him. It makes a middle-aged person feel her mortality and hope for a chance to right some past wrongs. 6. Punk Farm — After welcoming him on an author visit to my kids’ school a few years ago, the whole family feels a kinship with Jarrett Krosoczka, whose colorful books include My Buddy Slug, Bubble Bath Pirates, and Baghead. But I still haven’t figured out what kind of tune to put to the animal punk version of “Old Macdonald” that runs throughout this book. 7. 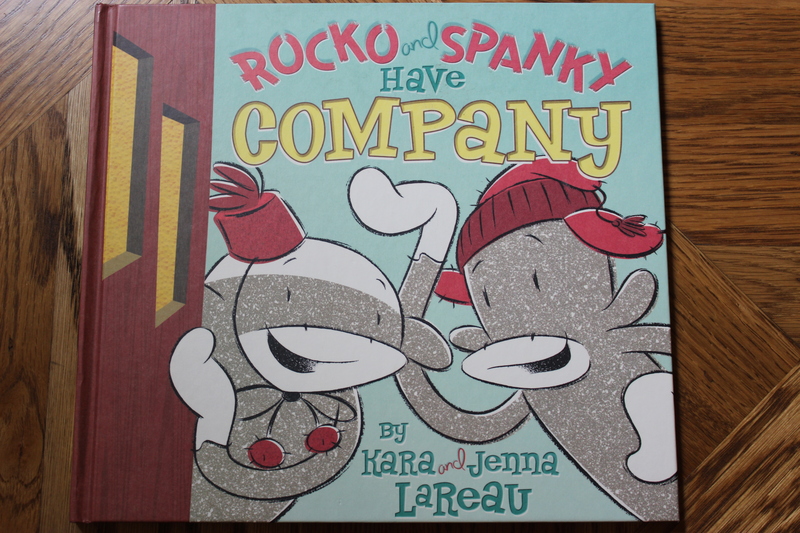 Rocko and Spanky Have Company — I always enjoy this story of the twin sock monkeys shopping, cleaning up, and getting ready for a visit from their mom—that is, until the end, when we get to the recommended recipe for Momma Socko’s peanut-butter-and-banana sandwiches, complete with cinnamon bread, chocolate chips, and marshmallows. My kids then commence their pleading: when, oh when, can we make them?? Tonight?? Puh-leeeeze???? 8. Shrek — Wait, you didn’t know this was a book before it was a hit movie, and then a Broadway musical? William Steig authored this book that absolutely delights the sensibilities of my 5-year-old son. If it’s possible, the world’s favorite ogre is more odious in the pages of this children’s book than he is in the movie, which means my impressionable kid picks up a few more bad manners than he already has. holds a swirling tornado or the spread from which the Oz palace regally rises. By the end of this one, I always feel like a peevish parent who has rained on her child’s pop-up parade. but it’s a little hard to explain—or read aloud—to a child expecting the old “I’ll huff and I’ll puff” refrain. On the bright side, even the wolf gets a happy ending in Wiesner’s world.